As the gap between rich and poor widens, class, rather than race, is seen as the most divisive issue facing South Africans, according to the latest Transformation Audit released by the Institute for Justice and Reconciliation (IJR) in Cape Town yesterday. Speaking at the launch of the audit, IJR head of policy and analysis Jan Hofmeyr said poor South Africans were more vulnerable to “economic fluctuation” than at any time since 1994 due to our current economic model’s inability to adapt to changing domestic and international realities. However, educated, affluent citizens have benefited from “a skills-biased economy” and as a result the gap between rich and poor has widened. This gap was the country’s “most divisive fault line”, said Hofmeyr. The Transformation Audit is conducted annually by the IJR as part of the organisation’s Inclusive Economies Project which assesses South Africa’s progress toward ‘a more dignified life for all’. The publication focuses on four main areas: macro-economic governance, skills and education, the labour market, and poverty and inequality. The latest edition has and extra chapter on public perception of economic security which draws on public opinion from the IJR’s annual national SA Reconciliation Barometer Survey. In his overview on the labour market chapter, executive director of the Labour Research Service, Saliem Patel, states that the labour market has not changed much since 1994 and mass retrenchments could spark violent action. Solutions for unemployment were crucial, stated Patel. Meanwhile, the chapter on poverty and inequality states that employment has increased among higher income groups but the country’s lowest wage earners have suffered job losses, increasing inequality between rich and poor, making South Africa one of the most unequal developing states. 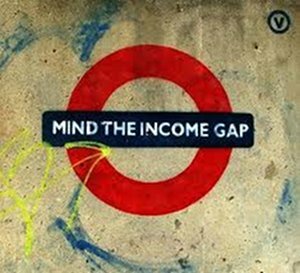 Income inequality was judged by over a third of those polled (34%) as the most divisive aspect of South African society while only a fifth (20%) deemed the divisive issue to be race. Although class and race were still closely linked in South Africa, that class rather than race as a divisive factor had come to the fore was “significant”, said Hofmeyr. In the overview article on the economy, Neva Makgetla, deputy director general of economic policy at the Department of Economic Development, who wrote in her personal capacity, stated that policy stability has been a positive hallmark of the country’s economic management, but the economy’s vulnerability was due to continued dependence on mining and the exponential growth of the financial sector, neither of which was good at creating jobs. Government spending has focused on present needs, rather than investment in improving people’s futures, such as education, job creation and health-care, said Hofmeyr in the introduction to the audit. “In times like these, populist pressure to throw caution to the wind is always likely to arise; hence, it is critical to anchor forward-looking policy within a national planning framework,” he says. He said economic growth and development could not be solely the responsibility of policy makers. Something about this headline does not resonate. Are the perceptions of a sample taken to be universal truths? Does it mean that because the ‘middle and upper classes’ are becoming ‘deracialised’ it implies moral equivalence with apartheid beneficiaries in those ‘classes’? And therefore the ‘class’ have collective ‘most divisive’ properties? What about the intersection of race and class? And what about the contradictions? Isn’t this unwittingly another way of disclaiming responsibility for ‘accurate’ distributive justice? Should the distinction not be made clearer without detracting from the real threat of inequalitiies (plural)? Otherwise, if we accept this conclusion without question, we also start erasing the historical nature of race based inequality designed in an era when we, as black people, were not free to pursue our talents to the fullest extent. And when we did, we had to negotiate all sorts of obstacles and diversions along the way, with the result that white people are mostly in charge outside of the political sphere. Inequality is therefore more complex than the heading suggests. In short, the word ‘most divisive’ needs to be qualified. If it refers to corruption and cronyism plus apartheid privilege – cool – then it must say so. If not, you are unwittingly guilty of obscuring the intersection of race, class and history by deracialising’more privileged’ ‘classes’ without qualification. The West Cape News site is now optimised for viewing on mobile phones. Simply load www.westcapenews.com in your mobile browser.